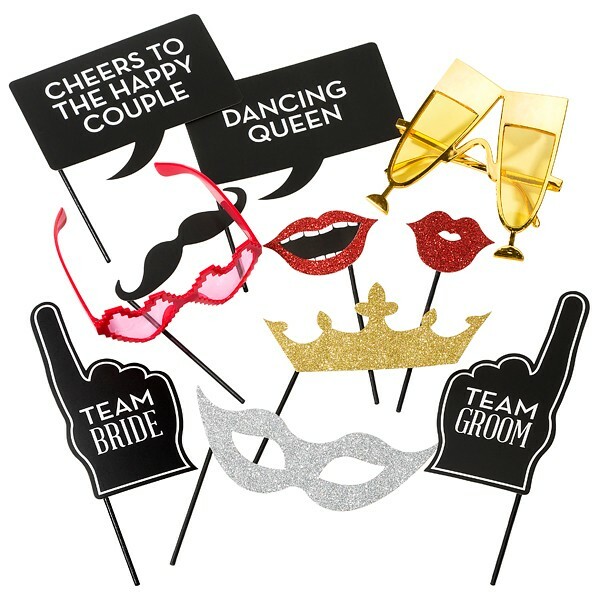 Delight, surprise and entertain your guests with this stylish Modern Romance photo booth kit. Perfect for weddings and in a neat little carry case for an extra special touch, this photo booth kit contains 14 props including festive glasses, card speech bubbles, card top hats, tiaras and more! For a Modern Romance at its trendiest, shop the range for decorations and accessories for the perfect white wedding.